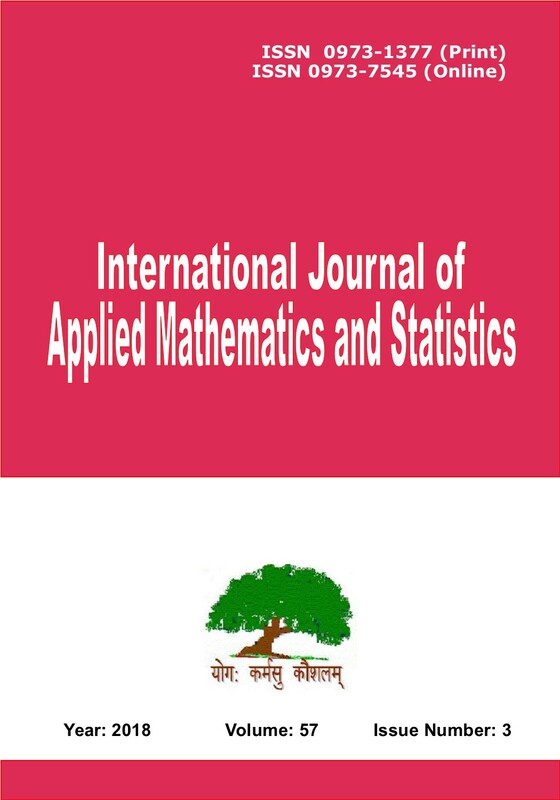 The main aim of the International Journal of Applied Mathematics and Statistics™ [ISSN 0973-1377 (Print); 0973-7545 (Online)] is to publish refereed, well-written original research articles, and studies that describe the latest research and developments in the area of applied mathematics and statistics. This is a broad-based journal covering all branches of mathematics, statistics and interdisciplinary research. International Journal of Applied Mathematics and Statistics (IJAMAS) is a peer-reviewed journal and published.